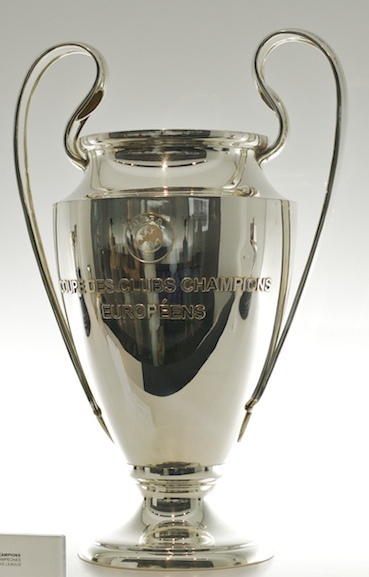 This week sees the final round of Champions League group games and whilst in many previous years, the final group game is often a dead rubber, this year many of the groups will be decided only after the final game has been played. Group B is no different with Galatasaray and Juventus, essentially playing each other for the right to join group winners, Real Madrid, in the draw for the last 16 round of matches. Galatasaray need to win the game to qualify whereas a draw is sufficient for Juventus. Either way this game should be a cracker! To get a better understanding at what we may expect in this game, we looked at the previous meeting of the two teams. In October the Juventus hosted Galatasaray in the second round of group matches and the game ended in a 2-2 draw. Whilst the goals and points were shared that day, we noticed that possession was far from shared with Juventus having 59% of possession as opposed to Galatasaray’s 41%. Using this stat as our springboard, we used our data to examine the nature of their respective possession. Looking at Galatasaray first, we saw that the players that hold the ball for the longest time when under pressure from the attacking team are Aurélien Chedjou and Hakan Balta, hold onto the ball for 10 seconds. Balta was again heavily involved when it came to possession in a non-threatening situation where he managed to hold onto the ball for 62 seconds. Selçuk İnan managed to hold onto the ball for 56 in this sort of situation. It is interesting to note that both Chedjou and Balta are defenders so it would make sense that they would have the ball in pressurized situations. When it came to advanced possession, Bruma, a midfielder, held the ball for 53 seconds with Wesley Sneijder, another midfielder, holding the ball for 34 seconds. It would seem from the data that Galatasaray play a rather low line of attack and allow their defence and midfield to have most of the ball. In fact, their attackers see very little of the ball with Felipe Melo having the ball in a dangerous situation for only 8 seconds and their main attackers, Didier Drogba and Emmanuel Eboué seeing only 6 seconds of ball time. This being said, in the two chances that Drogba and Bulut had, they managed to score. Juventus, on the other hand, played that game with a much higher line of attack. Starting with pressure from the attacking team, Andrea Barzagli held the ball for 16 seconds. His fellow defender Giorgio Chiellini held the ball for 8 seconds. Generally, they would hold the ball higher up the field than their Galatasaray counterparts. Their central midfielder, Andrea Pirlo, saw more of the ball than any other player – this is direct contrast to Galatasaray where a defender, Hakan Balta, held more possession than of any of his team mates. This is further enhanced by the fact that the two players who held the ball most, when in a high attacking level, were Atruro Vidal, a midfielder and Carlos Tevez, an attacker. Once in an advanced situation and when that situation becomes dangerous from where a chance on goal could be created, Tevez held the ball for 35 seconds. This is just over 4 times the amount of time that Melo held the ball for in the same situation for Galatasaray. In fact, even Kwadwo Asamoah and Arturo Vidal, having 33 seconds of possession in a dangerous situation, held the ball for significantly more than their Galatasaray counterparts too. When looking at the passing actions of the two teams, we see that Juventus held the edge in this game in terms of the number of passes attempted. Pirlo, Juventus’s top passer it this game, passed the ball 72 times during the course of the game. 19 of these were directed at Vidal, 20 to Asamoah and 7 to Tevez. Balta, Galatasaray’s top passer in the game, passed the ball 39 times with 10 of them going to Drogba, 6 to Bruma and 6 to İnan. We have seen that Juventus not only played a higher line in the previous game between these two sides but they dominated possession. Despite this, however, they were unable to make the possession count and could not win the game. As we have already seen, Galatasaray scored from their only 2 real chances in this game, so having the majority of possession, playing a high level of attack and ensuring that the majority of your play is in and around the midfield will not ensure that you win a game. It comes down to making your chances count. This game will be a heavily pressurized game due to the consequences of the result and it will be interesting to see if Juventus will try, again, dominate possession or put focus on their defence for should they avoid defeat, they will qualify. Galatasaray, however, need to go out and attack and score so let’s see how the game develops! Nice article! Some interesting stats on possession time that I have never seen before. I think this game will be so different when taking account who needs what to qualify. I also think that possession is greatly different when playing home or away. Do your stats show that?? Hi Jonny, thanks for the comment. Our stats can definitely show the difference of playing at home or away has on possession. In fact, when looking at Juventus’s game against Real Madrid at the Estadio Santiago Bernabéu a few weeks after the game against Galatasaray, we saw that Juventus only had 46% of live ball possession. So there is no doubt that playing in Istanbul will have an impact on the style of play by Juventus!